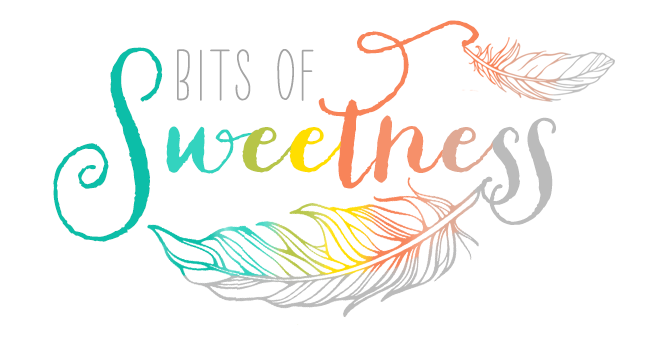 Bits of Sweetness: Tell me about yourself! Before I forget!!! 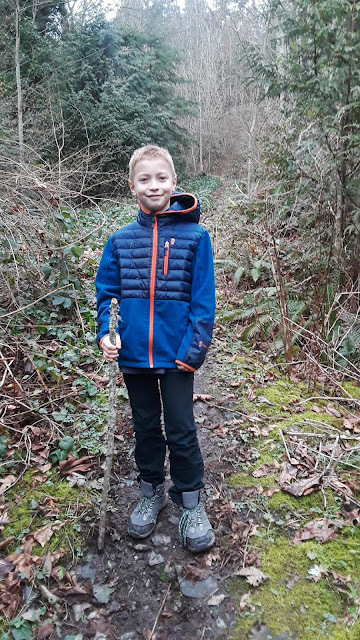 I had the chance to guest post on a blog the other day! blogger, Kerry! What an honor to get to guest post on her site! 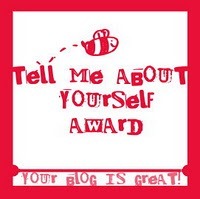 in Tell Me About Yourself where, just for fun you share seven random facts about yourself. it is opened up to anyone who wants to do it! 1. I'm not really a huge chocolate fan. I like it ok, but during *that* time it's never what sounds good. Also, it's usually not what I crave. 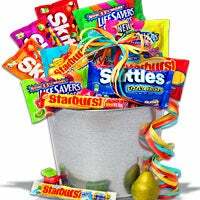 (with the exception of Twix & Kit Kats) I love candy though! Swedish fish, Twizzlers (especially the grape-flavored peel kind), pop rocks, peach rings (or any candy rings), Starburst, Skittles cores- yep. All my favorites. 2. I haven't ever read any books by Jane Austen. Really! That and a ton of other classics. Someday! You'd probably laugh if I listed all the ones I have on my to-watch list. 3. I used to be all about things happening whenever. Not really having a schedule. I find myself craving some order. Not in an obsessed way. Just appreciating it more. Appreciating getting the house clean (and making the effort to do so). Loving not having (so many) boxes of random random stuff all over. just to be able to enjoy the morning. 5. I don't do sports. Really. I am so uncoordinated, I have to literally think about trying to hit the ball. And... it still doesn't work! That's just hitting the ball though! Aiming is another story entirely! Usually doesn't happen unless I amazingly manage to make contact with the ball! Can't have both here for this girl! I am the one who totally proves all those wrong who say, "Oh but if you just had enough practice..." Ha! You can try. But I also don't care if I win or lose- either way I have fun :) I would much rather just watch and enjoy the game though, cheering everyone on! 6. Speaking of sports, I grew up in Salt Lake, home of "the greatest snow on earth" (amazing powder!!) and yet I have never been skiing or snowboarding! I wimped out on a great snowboarding opportunity too. Shame on me!! Someday I want to!!!! Actually though considering reliability and overall maintenance, I'd probably get this instead. Hondas are my fave, hands down. So! That is a little bit of me! Now what about you? Or, just comment below with some fun random facts about yourself! Soo nice to know I'm not alone!!! lol What else happens when I'm on the phone is that I end up with all this random stuff I do not need!!! Haha oops!! Such a great blog!!! I love it! Would you like to follow each others blog via GFC and Bloglovin in order to keep in touch? I wanted a 65 Red Mustang when I was in high school. Now I'd prefer the newer model! We totally should!! Movie night!! I love the Jane Austen movies I've seen! I just have yet to read the books! Someday! I have Dirty Dancing... we will watch it soon! I haven't ever read a Jane Austen novel either but I love the movies based off of them, they are some of my favorites! My hubby loves peach rings too :o) Whenever we go to Menards we get a pack (they have the best ones). Ive never read a Jane Austin novel either! I tried on my Kindle since they are free but couldnt get into it. Congrats on the guest post & I'm totally loving those shoes. Super cute! YOu should def read a Jane Austen book! I don't do sports, either. No thanks. I'll workout in the gym, thankyouverymuch. Candy..yum! ;) What' your ultimate favorite? SLC looks so awesome!!! I wanna go there now :) I loved learning all these things about you, I am seriously random too and forgetful . Your kindness in leaving a comment truly makes my day! I'm the writer behind Bits of Sweetness. It's the little things like a good cup of tea, pretty toes, and silly quotes that thrill me. 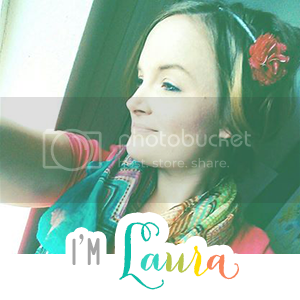 Visit Laura Railing's profile on Pinterest. © Laura Railing | Bits of Sweetness Blog 2007-2014 All photographs and content on this site are expressly my own, unless otherwise indicated, and may not be used without written consent of the blog author (myself). LOOKING FOR A BLOG DESIGNER?